Volunteers at the Detroit Zoo and Belle Isle Nature Center play a hugely important role in our operations. They interact with visitors, pass on important stories about the animals that live here, share our mission of Celebrating and Saving Wildlife and facilitate experiences that engage our guests in creating a better tomorrow for all animals. Our volunteer corps donates more than 100,000 hours of service every year. We have opportunities for individuals and groups 13 years of age and older to assist us during special events, to greet guests as they arrive at the Zoo and provide directions throughout our 125 acres, and to engage with visitors in areas including the Polk Penguin Conservation Center, the Wildlife Interpretive Gallery, the Australian Outback Adventure and the Arctic Ring of Life. This past spring, we amped up our recruitment efforts for the Volunteen Corps, which resulted in our numbers tripling. This a fantastic opportunity for local teenagers to earn community service hours while gaining leadership experience and building communication skills in a professional work setting. Volunteering not only builds a teen’s resume by adding valuable skills and experience, but it helps develop a sense of civic responsibility. 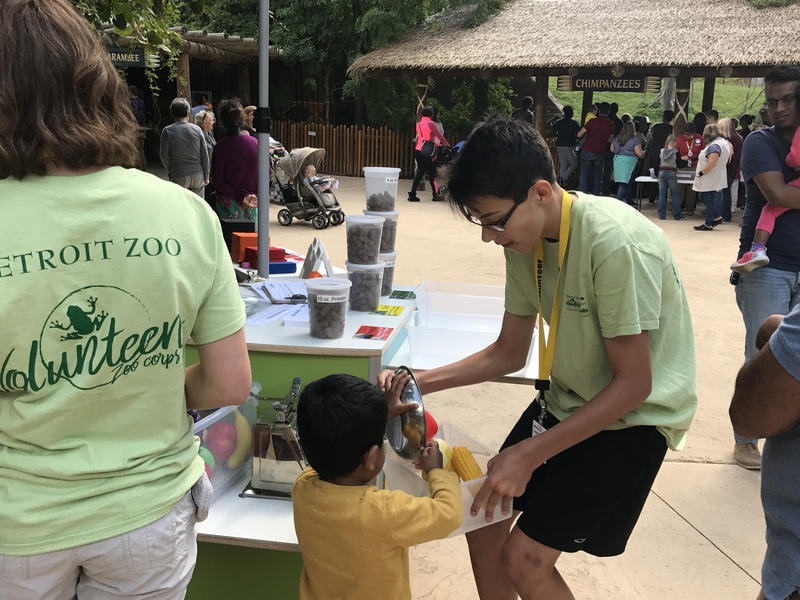 Volunteering at the Zoo also allows these students to spend time in nature while learning about animals and the environment and how we can all be great stewards of this planet. The Volunteens who’ve worked with us are highly engaged and enthusiastic about interacting with guests of all ages – especially children – and sharing all they have learned during their time here. Fifteen thousand visitors have interacted with our more than 80 Volunteens since June. Many of those participated in a hands-on activity that explored how sound energy travels while sharing an important animal welfare message. 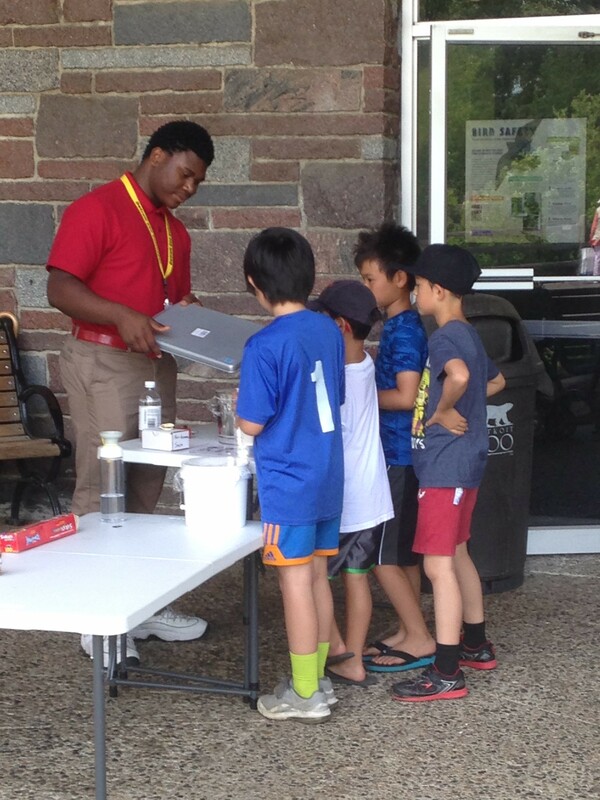 Stationed just outside the entrance to the Holden Reptile Conservation Center, teens demonstrated how sound travels and allowed guests to try their hand at making sound waves move by sanding sugar on a taut plastic surface. The teens then skillfully steered the conversation toward the concept that tapping on the glass of the reptile habitats allows sound and vibrations to travel into the habitat space, possibly disturbing if not upsetting the animals that live on the other side. As the weather cools down, the Zoo Corps is helping us with Zoo Boo, our annual Halloween celebration held on weekends in October. 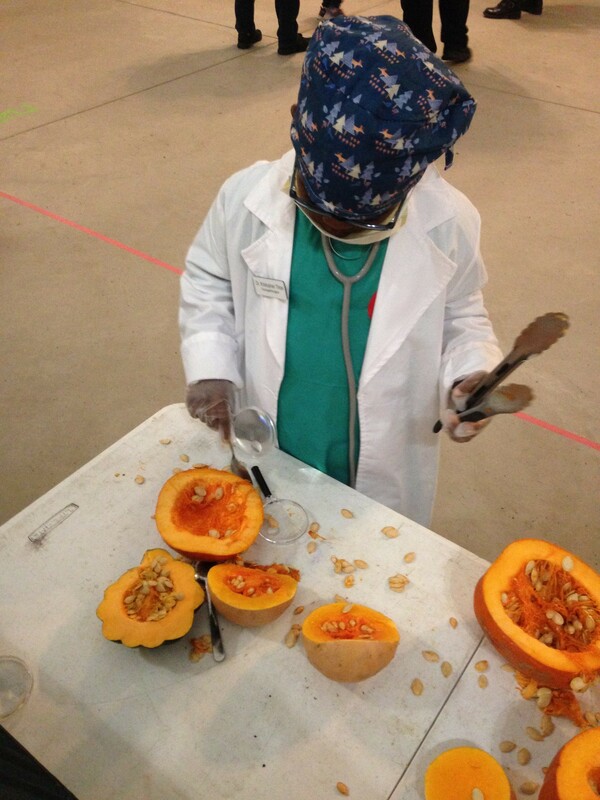 The Spooky Science Laboratory is crawling with trick-or-treaters and our teen volunteers assist them as they explore pumpkin and squash guts, predict how many mosquitos a bat eats in a single night, and determine how neighborhood wildlife can do your pumpkin carving for you. We are also working with our Zoo Corps to tell stories about our mission while building communication skills. A small cohort of teens participated in storytelling training and are sharing the real-life stories of animals that have been rescued by the Detroit Zoological Society as well as tales of wildlife conservation work we are involved in locally and internationally. Starting in November, our teens will be doing science activities on Sunday evenings during our annual holiday celebration, Wild Lights. Hands-on activities will be sure to delight guests as they enjoy the more than five million lights illuminating buildings, trees and more than 230 animal sculptures.